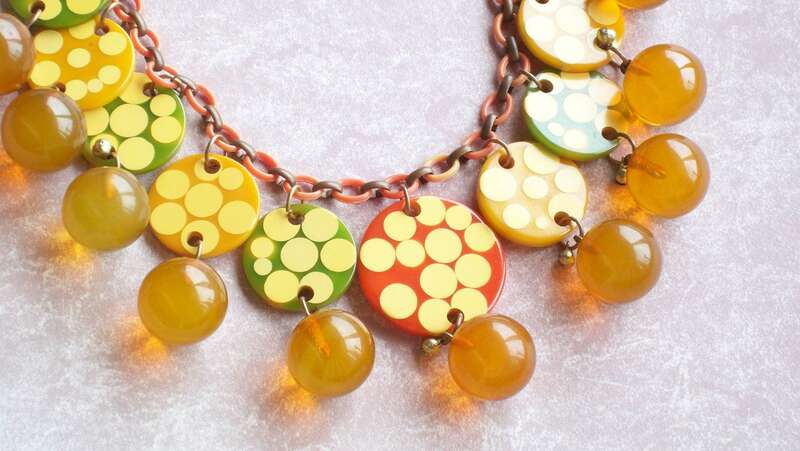 Fabulous Incredibly Rare Injected Dot Vintage Bakelite necklace featuring a 1.5 inch central Orange sliced random dot disc flanked on each side by 5 Green and Butterscotch 1 1/8 inch discs on each side. Each disc has an incredible 7/8 inch Apple Juice bead dangle. All vintage, all original. One of the keys to identification is that this necklace still has the tiny vintage brass dangle beads. Newly created necklaces have usually discarded these little dangles. 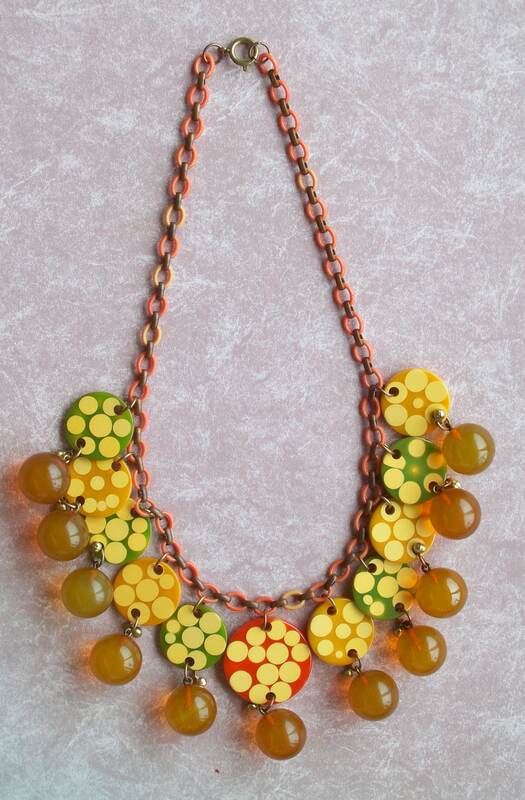 Generously sized Celluloid and brass chain at 20 inches, this necklace is a real statement piece. 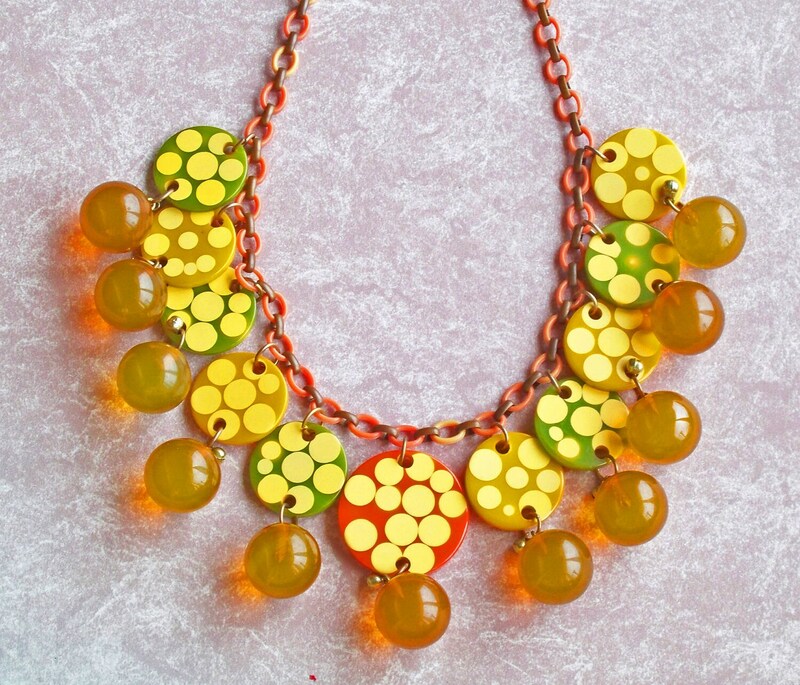 This necklace will work with ALL YOUR fabulous Bakelite bracelets and earrings!